Autumn is an appropriate time of year to learn something new and this season we have an amazing programme of talks and workshops. 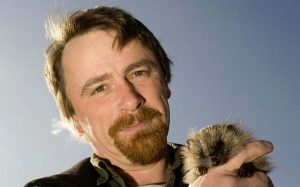 Of course the first lecture had to be on nature and we are lucky enough to have Hugh Warwick with us on the 20th September for his talk Hedgehogs in the Linescape. We have a very definite fondness for lines- we make them wherever we go- hedges, walls, ditches and dykes, canals, railways and roads. These ubiquitous lines have become embedded in the landscape and absorbed into the ecosystem, acting as either agents of connectivity or fragmentation for wildlife. In his latest book Linespcapes, Remapping and Reconnecting Britain’s Fragmented Wildlife, Hugh Warwick explores the history, both social and natural, of these lines and argues that they can, if we are brave enough, work as ecological goods. And the animal that perhaps best illustrates the impact of these lines is the hedgehog – names after our best loved linear feature and stereotypical flattened by our most used line. On October 18th Nick Heasman, who is not only one of our trustees but the Countryside and Policy Manager for the South Downs National Park Authority, will give a presentation of the Past, Present and Future of the South Downs National Park. We will look into the formation of the UK national parks movement, how the South Downs as a national park came into being, its incredible natural and cultural heritage assets and the challenges for the future. The talk will include a chance to watch a 30 minute version of the popular BBC4 film The South Downs: England’s Mountains Green which takes us into the heart of the UK’s newest national park – the South Downs, an extraordinary year exploring the park’s stunning landscapes, rich history, wildlife and people. What emerges is a portrait of one of Britain’s most iconic landscapes, described by William Blake as ‘England’s mountains green’. Blake was not the only writer inspired by our local environs. On the 27th September local writer Alistair Langlands will celebrate HAMPSHIRE through the eyes of writers who have known and loved the county. It was through the native genius of Jane Austen that the novel reached its first flowering in Hampshire, but not the least of the county’s literary claims is as the birthplace of nature writing, with Gilbert White opening up a new universe with his minute observation of the natural world around him in his Hampshire parish of Selborne. This tradition was furthered in the county by W H Hudson, and reached its apogee with the night walks of the poet Edward Thomas. If Hampshire is revealed to be a crystallization of all the quiet virtues of England, we also get to delight in the affectionate mocking attention of Beryl Bainbridge, P G Wodehouse and Sir Arthur Conan Doyle. And on the 29th November we will look closer on Gilbert White’s place in the literary world when professor Brycchan Carey explores White’s literary style and literary connections show how White, far from being a secluded country parson, was at the centre of the eighteenth-century literary world. 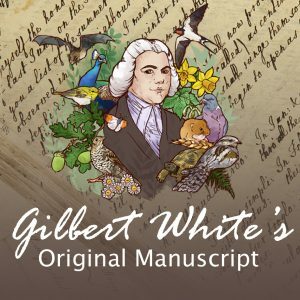 Gilbert White is well known as a naturalist, birder, and gardener who transformed the nation’s relationship with the natural world around them, but he achieved his success because he was a supremely able writer. As well as its lucid writing style, The Natural History of Selborne is peppered with allusions to ancient and modern literature and even includes some of White’s own poetry. On the 27th November will be uncovering the secrets of Gilbert White’s garden with David Standing. A remarkable detective story that uncovers the original layout of Gilbert white’s Selborne garden which he laid out between 1750 and 1793 and investigates many of the unusual and interesting plants he grew. He harvested over 2000 cucumbers in 1790! 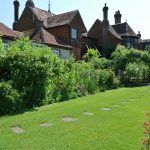 A mixture of slide talks, discussions and tours of the present garden, this course is a must for garden history lovers, Gilbert White enthusiasts and anyone who wants to know more about the history of Selborne. Throughout the Autumn we will be enjoying a Astronomy Course with Graham Bryant from the Hampshire Astronomical Group. The Course will cover the some of the historical aspects of astronomy and we will view some of the notable people and events in the history of mankind’s quest to understand the cosmos and our place in it. We shall take a critical look at telescopes, how they have helped mankind uncover the mysteries of the universe. Buying a telescope can be a minefield, so we shall look at the many types of telescope and try to understand what telescope may be most useful to you should you wish to buy one. We will together explore the solar system in detail looking at the planets, minor planets, asteroids and comets. We will take a close look at our nearest neighbour the Moon and see why it is so important to us. We live in a galaxy full of stars, dust and gas and other planetary systems. We shall see what happens to the many different types of stars and how they end their life, we will look at the gas and dust how our galaxy makes new stars. Could there be life on other distant worlds? Finally we shall explore the cosmos on the grand scale, how did it come into existence and what is the fate of our universe. Whenever the weather permits we shall also use telescopes to look at the night sky and become familiar with the constellations of the autumn sky.